Each year, Donate Life Hollywood issues grants to filmmakers to assist them with their efforts in creating films that promote organ and tissue donation. These films are featured as part of the Donate Life Hollywood Inspire Awards and one of them is declared the Donate Life Film of the Year. In 2010, there were six grants given to filmmakers from across the country. The Donate Life Filmmakers successfully captured the stories of hope, generosity, transformation and love that define Donate Life. Their films are featured below. Let us know which film is your favorite by leaving a comment. Are you a registered organ and tissue donor? 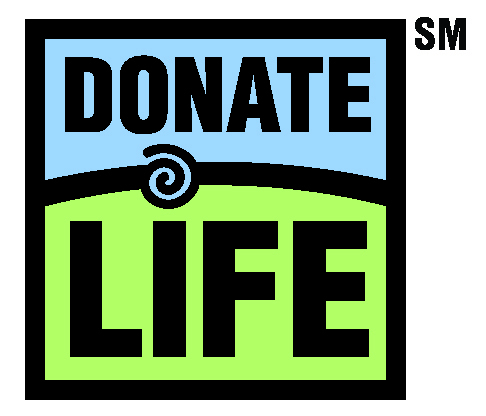 Take 30 seconds to register your decision to be a lifesaving organ and tissue donor at DonateLifeIllinois.org. 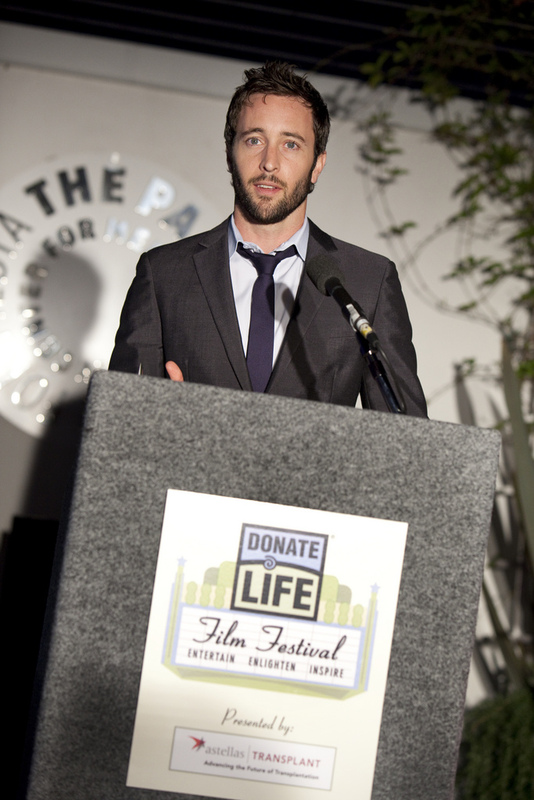 Alex O'loughlin accepts the 2010 Donate Life Hollywood Person of the Year award. Despite the cancellation of CBS’ “Three Rivers,” Alex O’loughlin is still raising awareness for organ/tissue donation. In “Three Rivers,” Alex played a transplant doctor and worked with actual doctors and Donate Life Hollywood representatives to be educated about the process. Alex trained to be a Donate Life Ambassador and was named Donate Life Hollywood’s 2010 Person of The Year for his commitment to sharing accurate information about donation and bringing attention to the issue. In a recent interview with the Chicago Tribune’s Show Patrol columnist, Alex had this to say about his involvement with Donate Life America. Its great to hear about a star who is dedicated to a cause and not just the charity du jour. Alex’s new show, “Hawaii Five-0” is getting lots of attention so he may become a very high profile DLA ambassador soon. Will you be watching the premiere? Musician and Donate Life advocate Alex Band is coming to town. Alex is the former lead singer of The Calling and is now solo. He’ll be performing a show at Schuba’s in Chicago on Thursday, July 29. Come show your support! Alex was affected by organ donation when his wife was placed on the transplant wait list for a new liver. Alex has been an advocate for donor registration and has supported Donate Life in many ways. Just how dedicated is he? Alex shared this video of getting a Donate Life tattoo. Now that’s dedication. In honor of Conan O’Brien’s visit to Chicago for two sold-out shows, I’m re-posting our entry on Coco being a registered organ/tissue donor. Of course, a few things have changed in Conan’s life since we posted this but it’s still nice to see that red dot on his license. If you’re going to his show, thank him for being a donor! Conan is an Organ Donor! It’s always great to see a little celebrity attention and star power behind the cause. Donate Life Hollywood works closely with film/TV producers, writers and actors to ensure positive presentations and story lines that feature organ/tissue donation. From the CBS series Three Rivers to the heartfelt All-4-One song, “When I Needed an Angel,” there were many donation champions to honor and thank this year. Please take a moment and vote for the donation Person of the Year. Besides the individuals up for Person of the Year, many other celebrities stopped by the Donate Life booth at the GBK Golden Globes Gifting Suite to receive information about donation and to take a picture showing their support. Did your favorite star stop by? Check out the slide-show below and you’ll see many familiar faces showing their support. The top three submissions to the 2010 Donate Life Hollywood Film Fest were announced. Being held on June 12 in Beverly Hills, the Film Fest highlights positive and accurate presentations of organ/tissue donation and transplantation in TV and films. Each video shares a moving and personal story and really connect with the viewer. Very powerful stuff. At DLI, we’re big fans of using video to share individual’s stories and connect with viewers. Our video, Steve’s Story – The Circle of Life took second place in the online shorts category at last year’s competition. Big thanks to Donate Life California for coordinating this event and Astellas Transplant for sponsoring. First off, be sure to check out this great organ donation story in the Morris Daily Herald today about Viridiana Lopez’s gift to others and her family’s support of organ/tissue donation. Tomorrow, DLI will be out and about at Soldier Field for the US99 Kenny Chesney concert, giving away backstage passes, signed merchandise from the artists (yes, even a signed Kenny Chesney guitar!) and of course, encouraging attendees to register as organ/tissue donors. You bet Morgan will be there. In addition, DLI volunteer Colette Jordan is taking our donation message half a world away to Switzerland! Colette was recently selected to represent transplant recipients from the U.S. to participate with 11 other solid transplant recipients as part of an advisory board in Zurich. See Colette’s post on her blog and stay tuned for updates! DLI volunteer and lung transplant recipient Steve Ferkau is also taking the DLI message out to the west coast to be honored at the inaugural Donate Life Hollywood Film Festival. Woo-Hoo! Last, the DLI team will be heading down to Saint Louis for the first part of next week to attend the national Donate Life America conference. Looking forward to catching up with our state affiliates and colleagues. Whew. Lots going on, keep us posted on any of your events and happenings!